We would also like to welcome back Mrs. Susan Yamamoto who will service students in grades 2 & 3 and Miss Camerie Sueoka who will continue to serve as the Grades K-2 counselor. This year our school theme is Ho`omoe wai kāhi ke kāo`o, Let all travel together like water flowing in one direction. This `Ōlelo No`eau (Hawaiian Proverb) focuses on unity and the importance of us all working together to support our keiki. 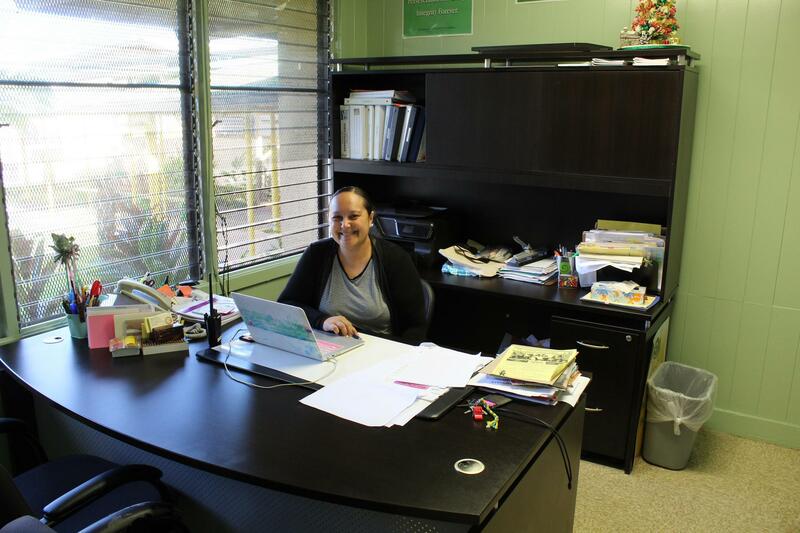 The staff here at Waiākeawaena have worked hard to align practices and expectations to give your child the best possible opportunity to succeed. This school year, we will continue to focus on the whole child, with an emphasis on academics and character building. For the month of August we will begin with the value of Kuleana (Responsibility) as part of our Kāko`o Project. Here at Waiākeawaena, students are taught what kuleana looks like in the classroom, in the walkways, in the cafeteria, in the library and out on the field or in the gym. This may be as simple as how to stand in line or completing homework assignments. Check out our first Kāko`o Project videos on the school website. To begin the school year, I humbly ask for your assistance in reinforcing the traits of kuleana at home. One idea may be to have a kuleana checklist or poster for your child, which lists what activities they are responsible for, i.e. brushing teeth, making their bed, homework, cooking rice, etc. This will help students understand the idea of kuleana better as well as hopefully help with home routines and expectations. To promote better communication between home and school, all teachers on campus will be using the Class Messenger App. This will allow teacher and parent to communicate using their phone or electronic device. More information will be forthcoming. By working together as partners, we will be able to help prepare our children set a firm foundation to be productive citizens who are respectful, have integrity and are able to persevere. In front of the school office on Kīlauea Avenue after the buses leave. On Kino`ole Street above H building. At Andrew’s Gym along the gym walkway (inside lane only). Students should not be dropped off in the Hilo bound lanes on Kīlauea Avenue. Please DO NOT PARK in the designated drop off and pick up areas as it creates a safety hazard. In addition, there are marked employee handicapped stalls. These are reserved for employees meeting the federal guidelines. Please DO NOT park in these stalls (even if you have a handicapped placard). They are specifically for employee use. Public Parking is located at Andrew’s Gym, on Kīlauea Avenue, and the top two tiers of the Kino`ole parking lot. Please follow all traffic laws, posted speed limits, and No Parking signs. The Hawai`i County Police Department will cite anyone not following traffic laws. **Please be prompt when picking up your child. Students remaining at the school after 3:30 pm (unless they are at A+) are unsupervised. Hawai`i County Police will be called to assist any unsupervised children. If you have any questions or concern, please feel free to contact myself or Vice Principal Ochi at (808)981-7200. Mahalo and we looking forward to partnering with you for another successful school year.